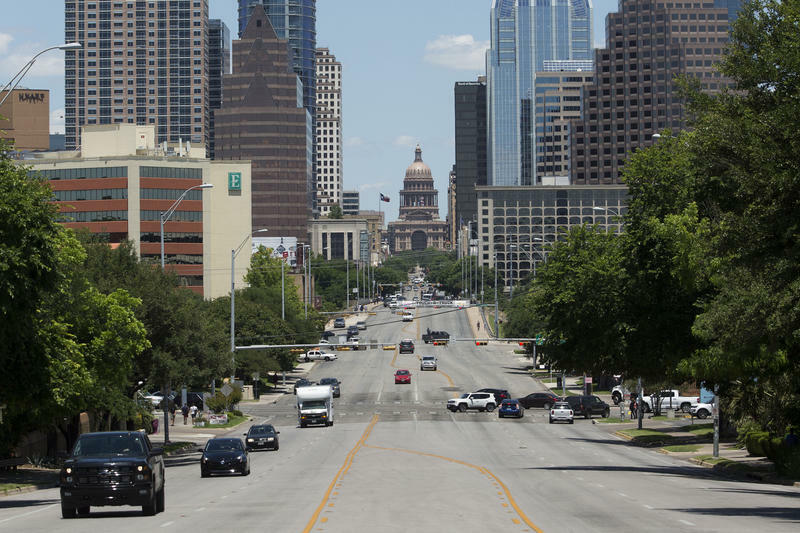 Of the top 15 fastest growing cities in the country, six are in Texas. Read the list and you’ll probably see a trend: They’re all suburban or satellite communities. “We also see [new arrivals from] New York and then our surrounding states,” he adds. Why? No surprise, Potter says: Cheap land, a strong economy and a central location all make Texas an appealing destination. 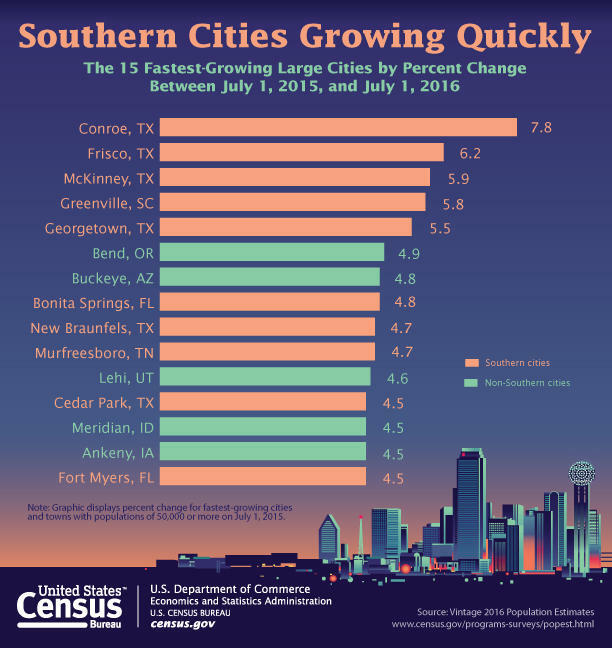 New numbers out today from the U.S. Census Bureau show that five of the fastest growing cities in the nation are here in Texas. 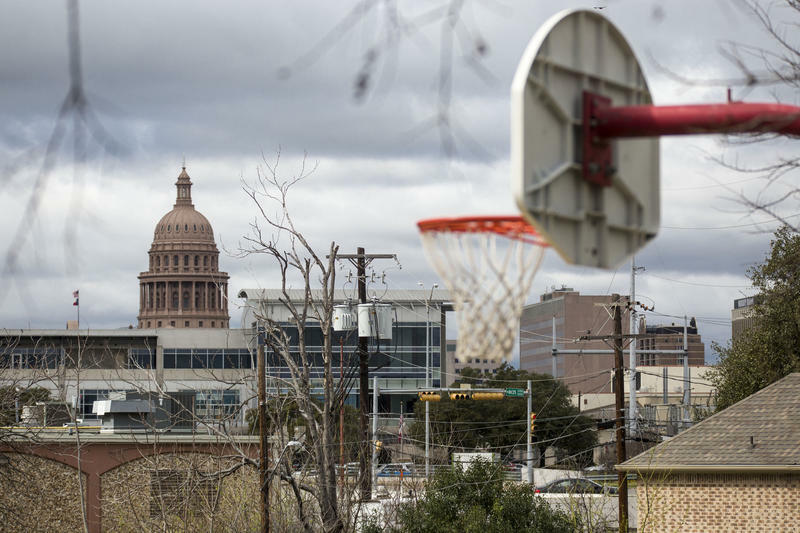 Georgetown tops the list of cities with a population of 50,000 or more. The latest estimates show the Williamson County seat saw a 7.8 percent jump in residents over a recent one-year period. 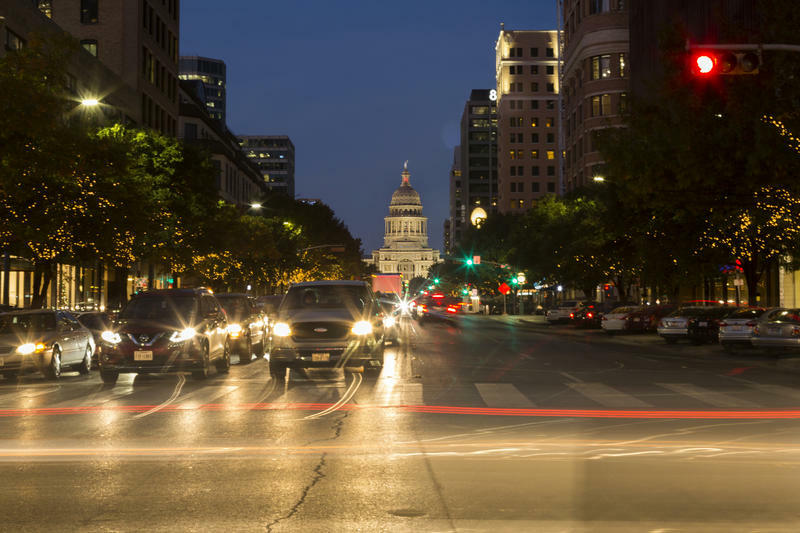 The U.S. Census Bureau just released its 2015 county and metro-area population numbers, and, not surprisingly, Austin continued to grow.